This bad boy is typically listed at $899.99, so you technically stand to save a whopping 400 bucks “instantly”, although the Snapdragon 835 handset has been marked down a number of times before. But never this substantially. Originally unveiled back in February and commercially released stateside a few months later, the V30S ThinQ is extremely similar to the regular LG V30. 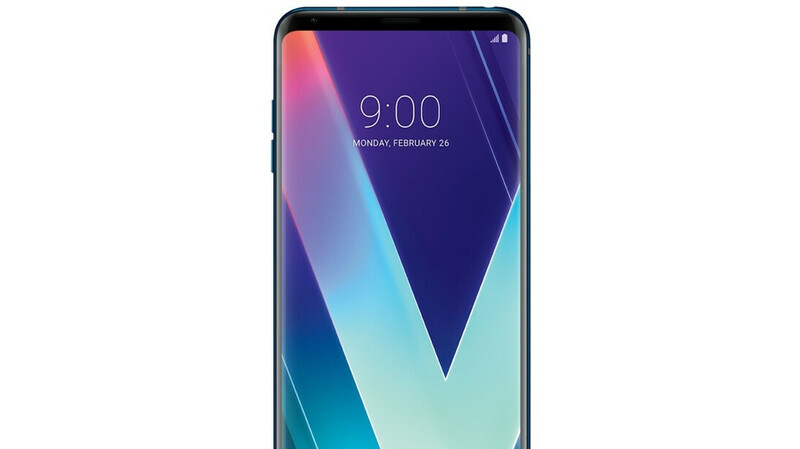 Compared to the V30+ variant, it only adds two extra gigs of memory and some cool albeit gimmicky integrated AI tricks. All in all, $500 is certainly not too much to ask for a beautiful 6-incher with an ultra-sharp 2880 x 1440 OLED display and symmetrically thin bezels, as well as 6GB RAM, 128 gigs of internal storage space, dual 16 + 12MP rear-facing cameras, 3,300 mAh battery capacity, a headphone jack, premium sound technology, IP68-rated design, and pre-installed Android 8.0 Oreo software (with Pie goodies no doubt in the pipeline). B&H Photo Video naturally sells the LG V30S ThinQ unlocked and compatible with both GSM and CDMA carriers, including AT&T, T-Mobile, Sprint, and Verizon, as well as backed by a standard 1-year warranty, which you can easily extend to a full 24 months by registering on the “Second Year Promise” website. What’s not to love about this (relatively) affordable high-end mobile device? It even comes in an eye-catching "Glossy Moroccan Blue" color.